No matter how careful we are in our day to day tasks, the unfortunate truth is that accidents can and will happen. This is why it’s so important to know where to go in a time of need. When you are an injury victim due to someone else’s wrongdoing, accidental or otherwise, you deserve to be compensated for the incident and any future ramifications it may have caused. While it’s just one example, knowing what do when you get in a car accident involves finding representation. When looking at who will represent you, finding the right personal injury law firm in such a saturated market can be difficult. There are a number of factors to consider including, but not limited to, how much you’re willing to spend, your familiarity with the process, and who you’ll be pursuing damages from. Make sure you find the best accident lawyer for your situation. While nothing is absolute, you’ll typically find that a law firm with a small number of attorneys specializing in personal injury law is better suited to handle the case than a large law firm. Why? 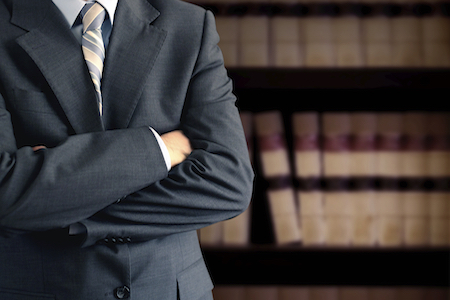 Because specializing in personal injury law means they do the type of law you need everyday. That specialization is important, and sets them apart from other firms. And at the JD Firm you will receive specialized attention to the details that matter because the attorneys and staff know what to look out for and have the experience necessary to be on guard for important facts that are unique to your case. We are committed to proactive communication throughout the process because that builds a better relationship with you, your family and anyone else involved. Trust is key. Personal injury focused firms are highly aggressive in pursuing damages (which is good) and not settling for the bottom dollar. And if the case cannot settle, we have the experience in the courtroom to try your case. Part of your responsibility as a potential client is to know exactly what you’re getting into when you choose representation. If your case has been accepted by a firm, don’t think that your exploration process is finished. Upon meeting, first make sure you’re asking which attorney will be assigned your case. Then, ask questions such as how long they’ve practiced, what percentage of their cases are related to personal injury, and, if applicable, have they worked with the insurance company in your case. If the lawyer seems dismissive or is getting annoyed with these basic probing questions, it’s probably a safe bet that they won’t give you the care you deserve. At this point, you should have a good understanding of the firm and who you’re going to be working with. Lastly, you want to get a grasp on how the attorney will keep you in the loop regarding your case. The best personal injury law firms will build an ongoing relationship throughout the process. Proactive communication is so important. The lawyer should be informing you about your case, even with small changes. You should not be the one who has to reach out to know what’s happening. Maintaining this open line of communication is something that can get lost in bigger law firms, and the case can suffer. Trust is the foundation of any legal relationship. Make sure you’re represented by the right personal injury lawyer who will work to make sure you get the best results possible.